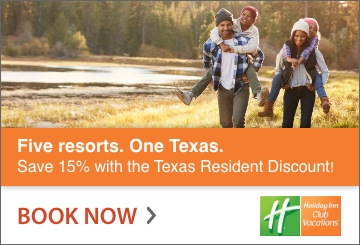 Six Flags Fiesta Texas not only offers great rides but it also has a unique location. No other theme park in the country has its location in an old quarry. The park uses this to its advantage in its rides and landscaping, but the decision to renovate the old rock quarry had to come before the rides. 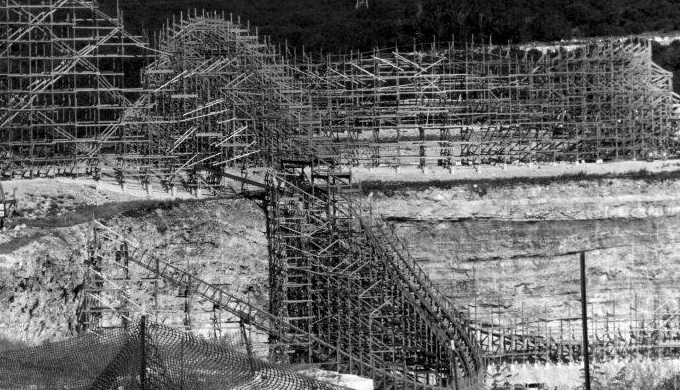 Discover the journey Fiesta Texas took from Redland Quarry to its current state as a theme park. Prior to Six Flags Fiesta Texas becoming a theme park, the land it currently stands on was used for Redland Quarry. Redland Quarry mined limestone from the surrounding hills for use in various projects in Texas. Opened in 1934, the quarry lasted until 1988, when mining operations had tapped out the limestone in the area where Fiesta Texas would be built, which opened the land for sale and development. The planning and construction phase for the theme park took almost two years, starting in 1990 until the park opened in 1992. 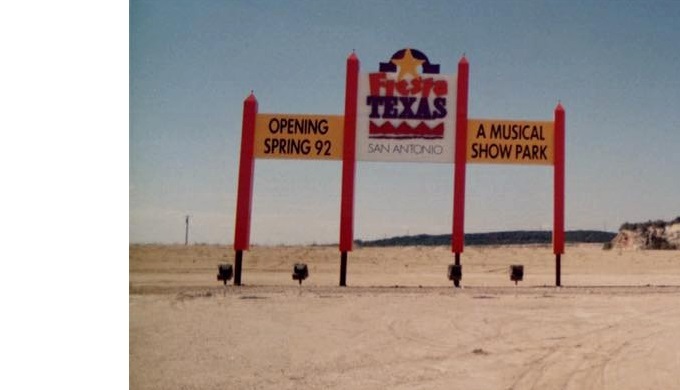 Initially, the park did not have nearly as many rides as it does today, but it opened in 1992 to much acclaim as an additional theme park option in the heart of Texas. Initially, the park was not a part of the Six Flags company. It would not be until 1996 that the corporation that owned Six Flags, Time Warner, purchased Fiesta Texas. 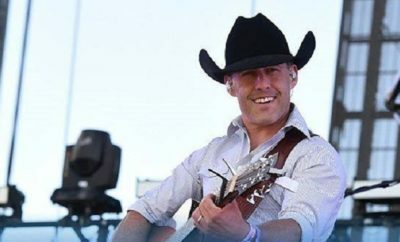 Though Six Flags has changed hands from Time Warner since the Six Flags name remains with Fiesta Texas. Instead of trying to hide its former use as a quarry, the builders decided to use the natural rock walls to their advantage. The largest roller coaster, now called the Iron Rattler, is a wood and steel hybrid coaster that plummets from the cliffs of the quarry walls three times. 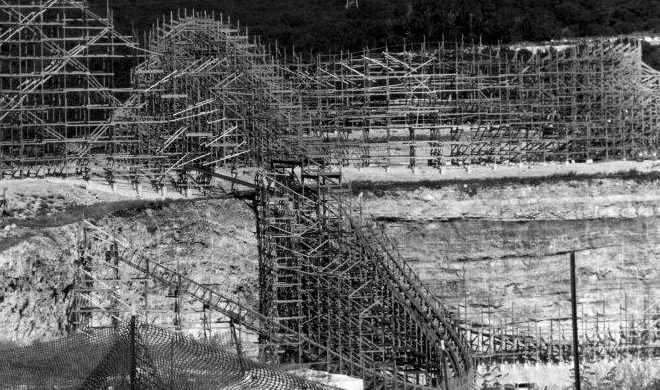 Even in the early days of the park when the roller coaster was purely a wooden coaster called The Rattler, it still used the quarry walls to create dramatic drops and turns. Other roller coasters at the park do the same, such as Superman. 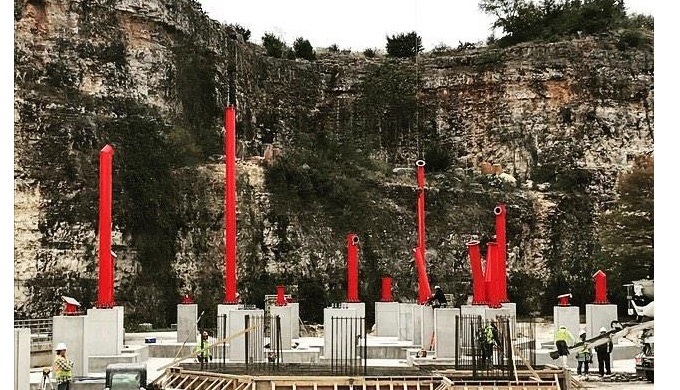 And the quarry walls provide an ideal backdrop for projecting lights for shows and special events. Thanks to its unusual location, Fiesta Texas can take advantage of the landscape in ways other parks cannot, giving you a unique experience when you visit. Next Story → The Alamo: Is It a Shrine to Liberty or a Memorial to the Fallen?